Yup, if you don’t complete your 6.2 mile trek, there’s no way you’ll ever uncover the secret of the shirt. At least that’s the way it’s supposed to work. In theory. Reality is far more harsh. Behold the shirt (last year’s anyway). 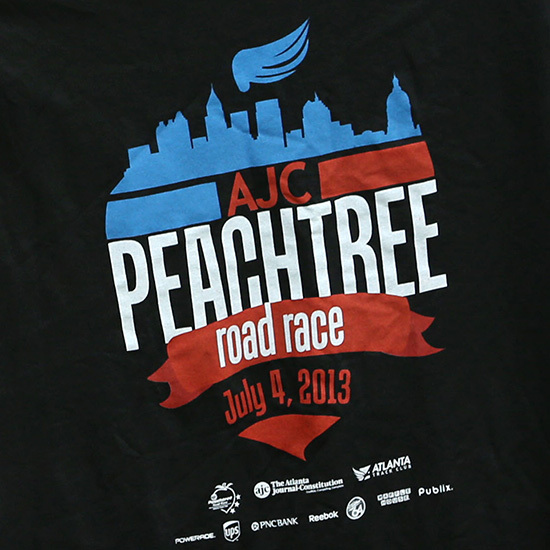 Friday will mark the 10th (or perhaps 11th) time I’ve run the Peachtree Road Race and every single time I’ve learned the T-shirt’s secret identity before the race is over. In the same damn fashion. Every single time. Here’s the skinny: As I reach around the mile 5 mark, some of the 60,000 runners who have finished the race and received their “mystery” shirts start mingling in amongst the cheering fans. Some of them are even wearing the “finisher’s shirt.” I can see the shirt’s color (another mystery each year, one we don’t vote on), but I avert my eyes and focus on the road, trying to avoid seeing the design. I smile, hoping that my self-imposed tunnel vision might keep the mystery intact. Each year, every year, this guy jumps in the road and spoils the surprise. Now, I know what you’re thinking. How could it be the same guy every year? It’s not. Each year it’s someone different. And sometimes the guy is a girl. But like in L.A. CONFIDENTIAL where Detective Edmund Exley created a moniker to name a never-identified thug… he called him “Rolo Tomassi”… I decided to make an amalgam of all of these people and roll them into one person (just to give him some character). Tommy T-Shirt’s evil alter ego. Every time I run the Peachtree, I wait for Tommy to leap from the crowd like a comic book bad guy, sporting a “Snidely Whiplash” curly mustache and yelling “Bwa-ha-ha” as he waves the shirt and crushes the spirit of countless runners. 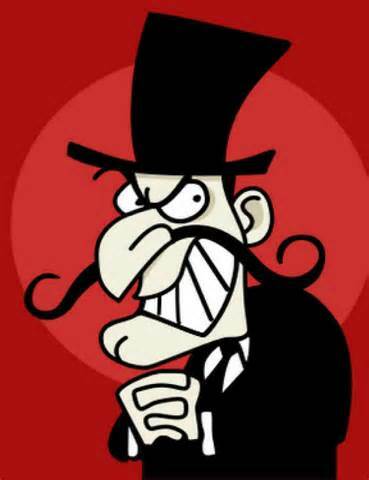 If I were a comic book superhero* this guy would definitely be my super-villain. My archenemy. My Peachtree nemesis. And he is pure evil. For 364 days each year (365 days during leap years) The Spoiler stays hidden in his secret lair flanked by his two henchmen “Clod” and “Dolt” and plots his evil scheme. 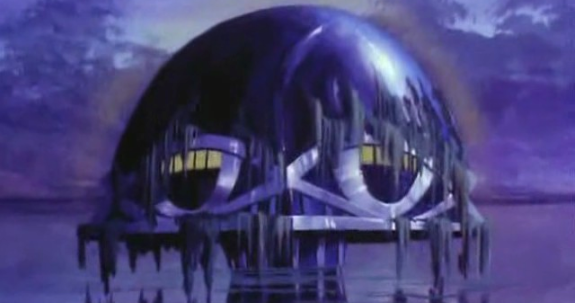 …anybody want to share a lair? 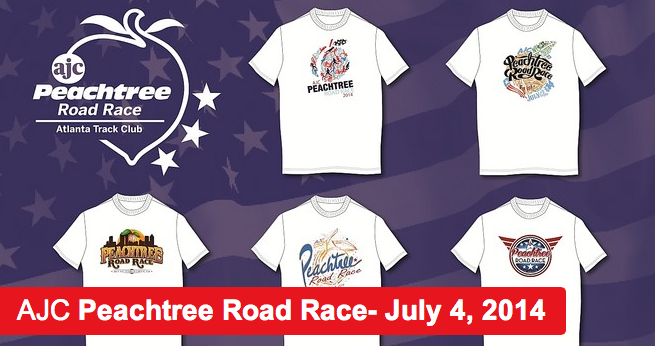 And on each July 4th, he launches his master plan, needlessly ruining a fun surprise for several thousand sweaty Peachtree racers. And with his evil mercilessly dispensed, The Spoiler disappears back into the crowd, eluding the authorities yet again and already thinking ahead to repeating his dastardly deed next year. 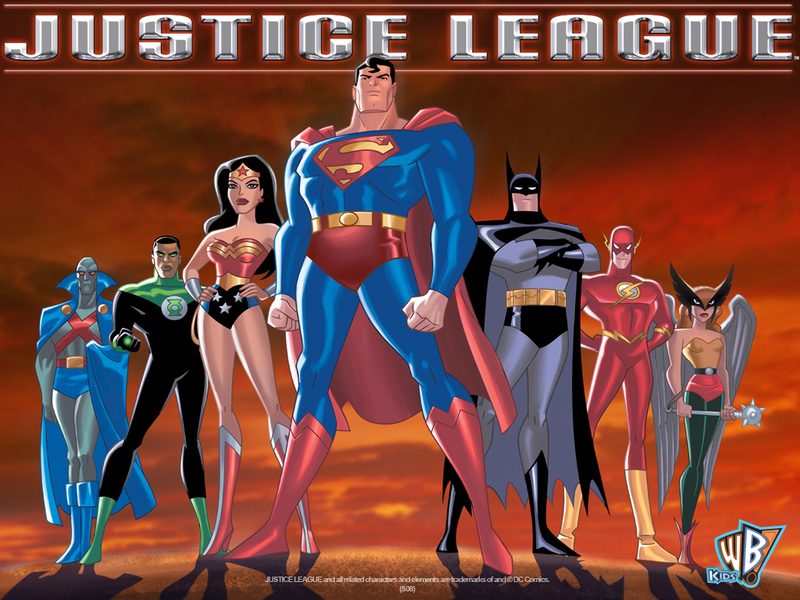 Where is the Justice League when you need them? Okay, let’s pause on the comic book fantasy for a second. By the way, I have a lot of ’em. Just ask my girlfriend. The Spoiler/Tommy T-Shirt isn’t causing armageddon or committing a crime against humanity (okay, maybe a little). Can you find “The Spoiler”? What he’s doing is along the lines of someone inadvertently telling you the score of the big game that you DVR’d in the hopes of watching later. Or being all movie/TV spoilery and letting you know that the chick in the THE CRYING GAME was a guy or that the “Red Wedding” was not going to end well for family Stark. His (or her) only real crime is denying you the freedom of choice. By holding out the T-shirt for all to see (whether they want to or not), The Spoiler is deciding for you that you must see the T-shirt now and on his terms, as opposed to allowing you to be surprised at the end of the race (like the good race planners intended). To some people, it’s no big deal. To others, it’s a mild nuisance. How do I feel about it? Let me give you a childhood Christmas analogy. If I wait all December for Christmas to arrive and never once peek at my presents (or even shake the boxes) the last thing I want is for someone to tell me as I’m walking down the stairs on Christmas morning that I did indeed get the G.I. Joe with the kung-fu grip. I can wait a few more minutes. It’s hard to truly despise The Spoiler. He doesn’t even know he’s kinda being a D-bag. He might even believe he’s doing a good deed. Remember, no villain thinks they’re the bad guy. 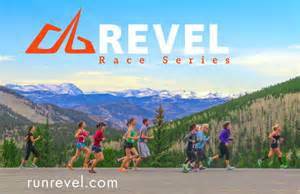 So on Friday, I’ll run the Peachtree knowing full well that The Spoiler is primed to attack yet again and there’s nothing I can do to stop him. I only hope that some Good Samaritan or costumed vigilante turns to The Spoiler and asks him to reconsider what he’s doing. Perhaps then The Spoiler might see that what he is doing is wrong and agree to stop being so darn evil. Maybe even turn to the side of good. Or we could just stick him in Arkham Asylum or banish him to the Phantom Zone for all of eternity. Run for Justice… and Run on! *Note: If you’ve seen how fast I run, you’d never mistake me for the superhero “The Flash.” Or any other meta-human for that matter. Posted on July 3, 2014, in General, Humor and tagged Justice League, Peachtree Road Race, Rolo Tomassi, Snidely Whiplash, T-Shirt voting. Bookmark the permalink. 1 Comment.